What Owen King remembers is how much time his father spent alone. Typing. Making up stories. 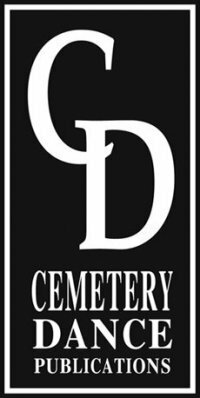 Going to dark places in his head and coming out with books about killer cars, shape-shifting clowns, and burial grounds that bring the dead back to life. That’s just how it was being Stephen King’s son. His mother did it, too. When Tabitha King was writing novels, both of Owen’s parents would disappear into that other dimension, hunched in front of a screen — the trance of a writer. They always came back, of course, just as pretty much all moms or dads leave every day for work and then come home. But it was their self-imposed solitary confinement daunted him. Haunted him. It turns out nightmare-making doesn’t have to be a lonely business. 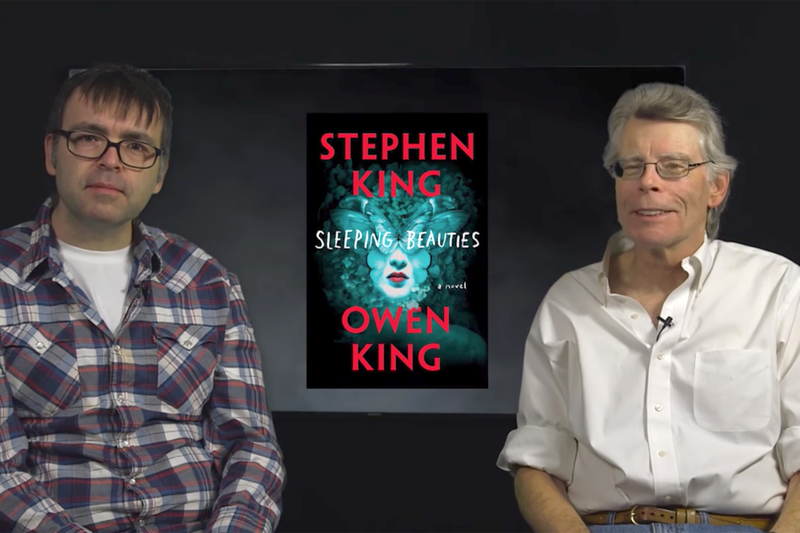 Stephen King and Owen King figured out a way to turn storytelling into a shared effort, collaborating on their new novel Sleeping Beauties, which hits shelves Tuesday. The 700-page tome is part plague thriller and part fable. It’s the story of a sleeping sickness (nicknamed “Aurora” after Disney’s drowsy princess) that overtakes all the women and girls of the world, leaving the men of the planet to sort things out on their own. Guess how that works out. When the women go under, they are enshrouded in mysterious, protective cocoons. Peel away wrapping to wake them, and the women’s bodies lash out, like savage sleepwalkers. 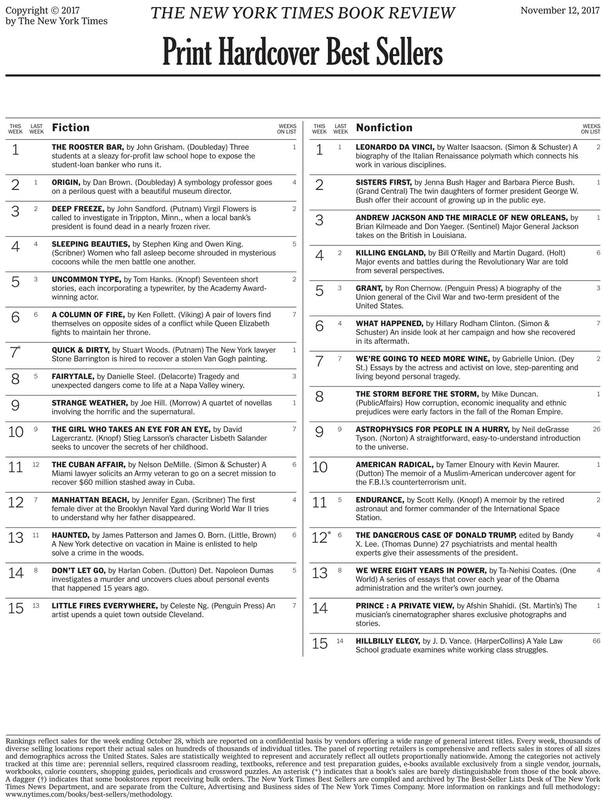 The novel centers on a female prison in the small town of Dooling, West Virginia, where an ethereal woman named Evie is both the genesis of the plague (take that pun as you will) and the key to ending it. Evie is beautiful, alluring, magical, and able to meld with the minds of moths, and foxes, and rats. She is mother nature, the princess locked away in a castle, and Maleficent, the wicked fairy, all rolled into one. But if the men of the town of Dooling end her first, the women of their world will be lost forever, living out their days in a separate dimension, where they are starting society anew. Maybe they don’t really want to come back. Stephen has collaborated a few times before, most famously with Peter Straub on 1984’s The Talisman and co-writing comic books like IDW’s Road Rage with his other son, Joe Hill (The Fireman, NOS4A2). But he hadn’t yet teamed up professionally with Owen, who’s the author of the 2014 novel Double Feature, a dramedy about a young filmmaker trying to make a masterpiece, and co-writer (with Mark Jude Poirior and artist Nancy Ahn) of Intro to Alien Invasion, a blackly funny 2015 graphic novel about an extra-terrestrial spore that infects a college campus. Owen has inspired his father’s work before, however. Many times. 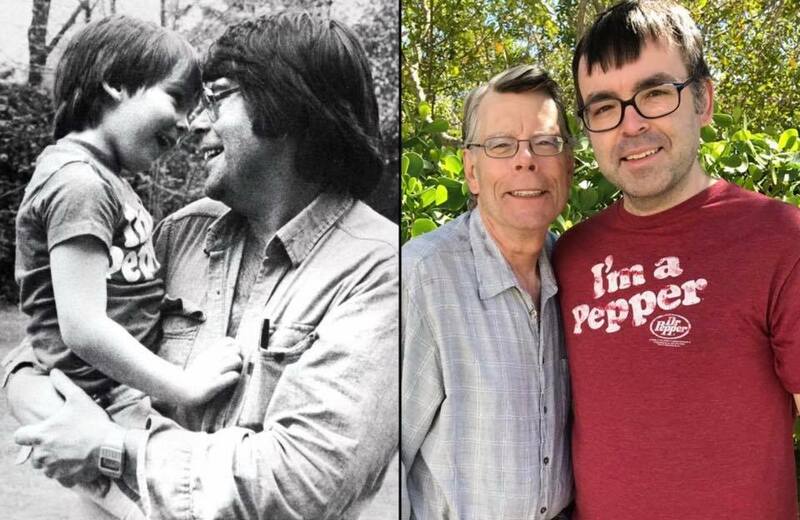 “You cannot believe how nice it is to have somebody that you raised come to you and say: ‘Let’s work together,’ ” said Stephen King, who has previously collaborated with his older son Joe on two books. 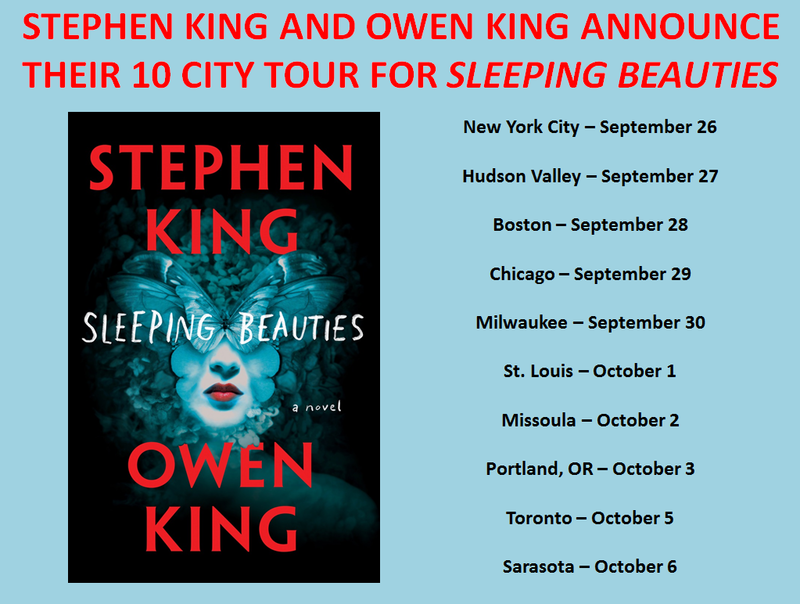 For their first joint effort, he and Owen dreamed up Sleeping Beauties (out Sept. 26), a horror tale set in a remote Appalachian town where women lie down to sleep and never awaken, their bodies shrouded in gossamer webs. And as their sons and husbands and brothers soon learn, disturbing those mysterious cocoons comes with consequences. Cemetery Dance is excited to report that they will be publishing a special edition of Sleeping Beauties by Stephen King and Owen King. The book will be published in three different deluxe editions. Details to come later this year. 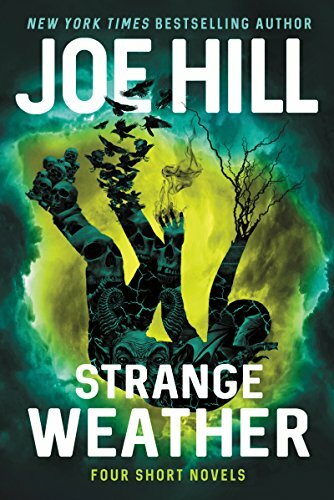 CD will also be publishing a signed Limited Edition of Strange Weather by Joe Hill. This brand new novella collection from one of the finest young authors working in horror today will feature full-color artwork from four different artists handpicked by Joe and will be published in a unique format that will make Strange Weather one of Joe’s most collectible special editions ever. The special edition of We’re All In This Together by Owen King is headed to the printer in the next month or so, and Cemetery Dance is already working on another special edition with Owen that will feature so much bonus material that the edition will be double the length of the trade edition. 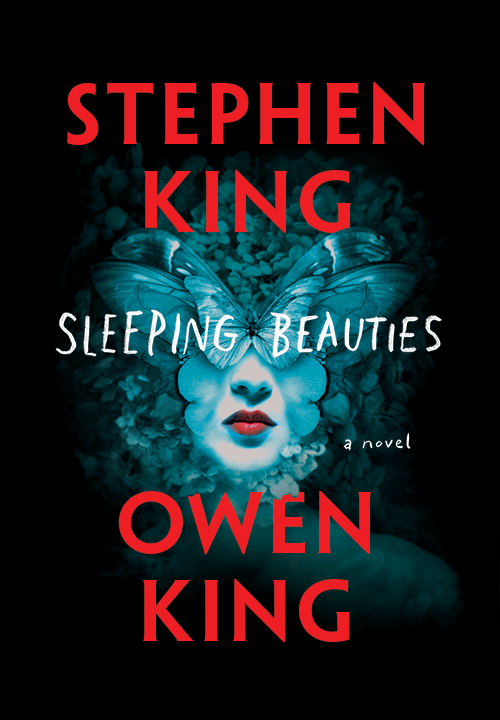 Stephen King didn’t look too far to find his co-author for the forthcoming novel, Sleeping Beauties: The horror master wrote it with his son, Owen King. Click HERE to read an excerpt from the book. Sleeping Beauties hits shelves September 26. 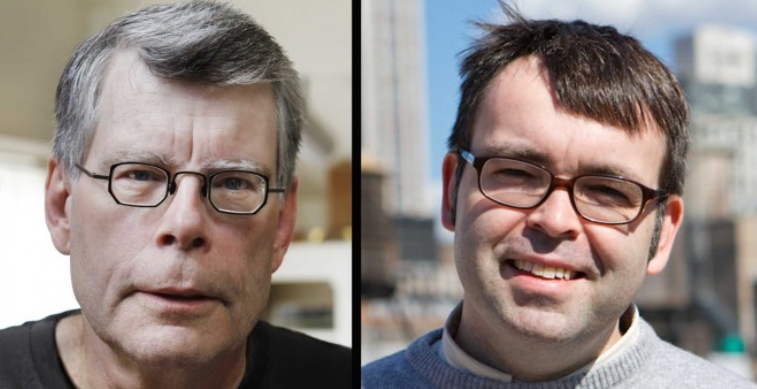 Stephen King is publishing a supernatural suspense novel with his son Owen – the first time the pair have collaborated. In a future so real and near it might be now, something happens when women go to sleep; they become shrouded in a cocoon-like gauze. If they are awakened, if the gauze wrapping their bodies is disturbed or violated, the women become feral and spectacularly violent; and while they sleep they go to another place… The men of our world are abandoned, left to their increasingly primal devices. One woman, however, the mysterious Evie, is immune to the blessing or curse of the sleeping disease. Is Evie a medical anomaly to be studied? Or is she a demon who must be slain? Set in a small Appalachian town whose primary employer is a women’s prison. The widely anticipated 720 page novel will be published on September 26, 2017. 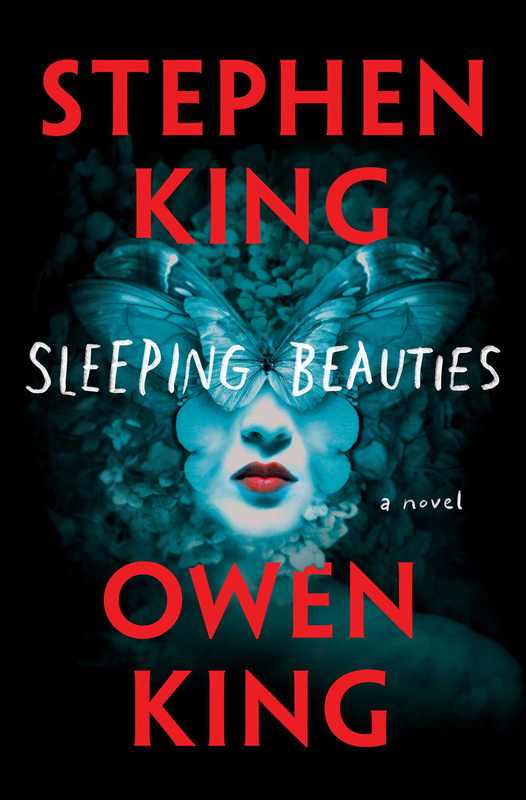 Owen King’s first novel, Double Feature was published with Scribner in March 2013. He is Stephen King’s youngest son and the brother of Joe Hill, who most recently authored the literary thriller The Fireman. The 2017 Adult Book & Author Breakfast is shaping up to be the forum’s most exciting yet with the first-ever BookExpo appearance by best-selling novelist Stephen King (Misery, 11/22/63, On Writing). 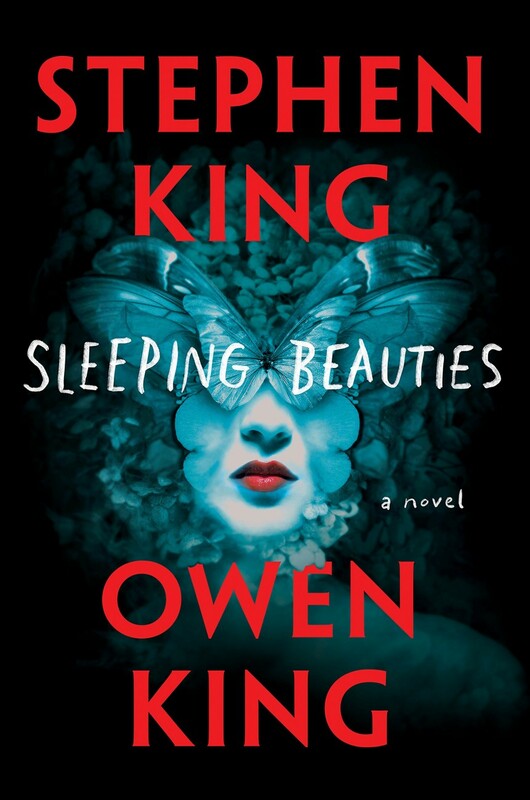 Joined by Owen King, his son and co-author of the upcoming novel Sleeping Beauties, the pair will offer a special introduction to the breakfast, ‘Prologue by Stephen King & Owen King. This year’s breakfast will also feature an updated, more interactive format that will showcase more authors than ever before, giving the audience a unique experience to hear the speakers engage with one another and field questions from the audience.